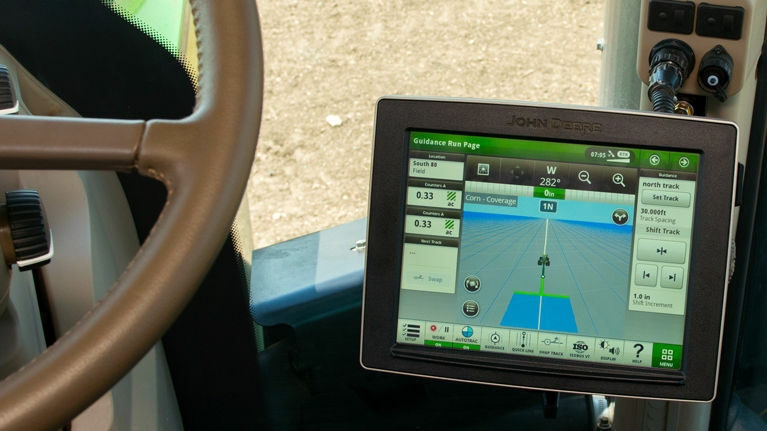 John Deere announces compatibility between its Generation 4 CommandCenter™ Displays and Ag Leader Technology SMS™ software via John Deere's Ag Data Application Programming Toolkit (ADAPT) plug-in. As a result, producers and their trusted advisors can now easily transfer data from John Deere Generation 4 CommandCenter Displays into Ag Leader SMS™ software for spraying and other field applications. Lane Arthur, Director of digital solutions with John Deere, says the compatibility of these systems demonstrates Deere's commitment to working with others in agriculture to adopt standards that allow producers to easily share their farm data between their machines, trusted advisors and preferred software tools. "Collaboration is essential to providing customers with uncomplicated, seamless flow of and access to their data, no matter what software or hardware technologies they are using," Arthur states. "The Ag Leader?–?Deere development teams worked hard to fast track Gen 4 support into the SMS platform for the benefit of customers who rely on both systems, and will be fully supported by both companies." Corey Weddle, Director of software solutions at Ag Leader, adds, "SMS Software has a long-standing and trusted reputation for helping growers and their trusted advisors integrate field data from a variety of sources across the farm and turn it into actionable information. We continue to invest in and build upon that versatility to support growers' needs and are excited to be one of the first farm management information systems to support this new generation of John Deere displays." ADAPT is a software toolkit created by the industry group AgGateway and is designed to eliminate the major pain points to broad use of precision agriculture data by easily enabling interoperability between different software and hardware applications. John Deere encourages all ag software developers to utilize ADAPT in order to remove barriers to collaboration.